We have all experienced a moment that endlessly captures our thoughts. My time came while reading a book about Harvard’s Civil War volunteers, also known as the 20th Massachusetts Volunteer Regiment. [i] The Civil War produced thousands of ironic and heartfelt moments, and the Alexander family of Nantucket is another example. Harvard’s Regiment began in earnest answering President Lincoln’s call to duty. Alumnus and undergraduates immediately enlisted to end the Rebellion. Initially, most officers were abolitionists from the general geographic area around Boston, including two of Paul Revere's grandsons. Civil War regiments needed to recruit 813 volunteers, before the unit could be mustered in by John Andrews, Governor of Massachusetts. Once formed, a regiment was required to replace casualties up to its original level to maintain its distinction. This compelled officers to continually recruit volunteers to replace battlefield losses or surrender control of the regiment and their path to promotion. Often, experienced combat officers had to return to New England to recruit. At the Battle of Antietam, on September 17, 1862, the Harvard Regiment lost many professional soldiers from the intellectual class. The non-officer class suffered far greater casualties, but accumulated much less patriotic favor. 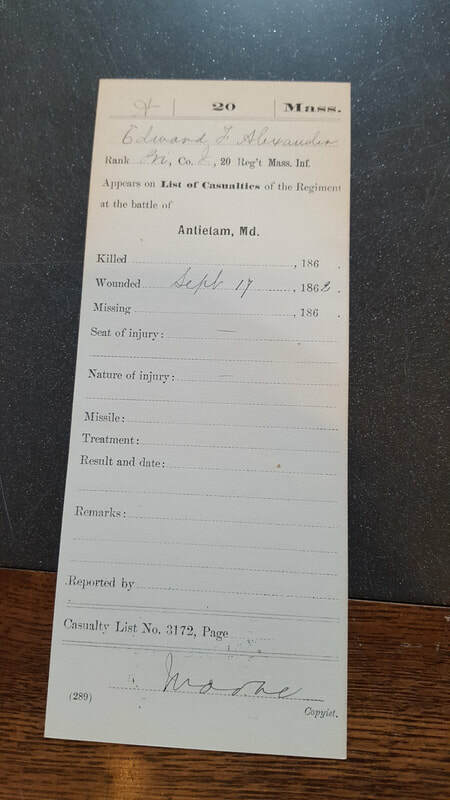 One private, recruited in Nantucket, was last seen near the fight astride the “West Woods,” at Antietam. Private Edward F. Alexander, 19 years of age, was wounded in the shoulder. His Lieutenant, Leander Alley, repeatedly ordered him to seek medical treatment. At first, Edward refused and continued to fight. Eventually, he conceded to seek help and struggled off towards the West Woods. Typical of most Civil War battles the same territory was fought, won and lost multiple times in a day. This held true of the West Woods. Consequently, Company I of the Harvard Regiment lost contact with Alexander. Lieutenant Alley, also of Nantucket, was killed in action at Fredericksburg on December 11th of the same year, severing a tenuous thread of information about Alexander. Private Alexander was declared Killed and missing in action. Seven years later, his mother was awarded Edwards pension. The written application and award, on file at the National Archives, offered no clue to his death or final resting place beyond Antietam. Our effort to find Alexander’s final resting place was a great learning experience. 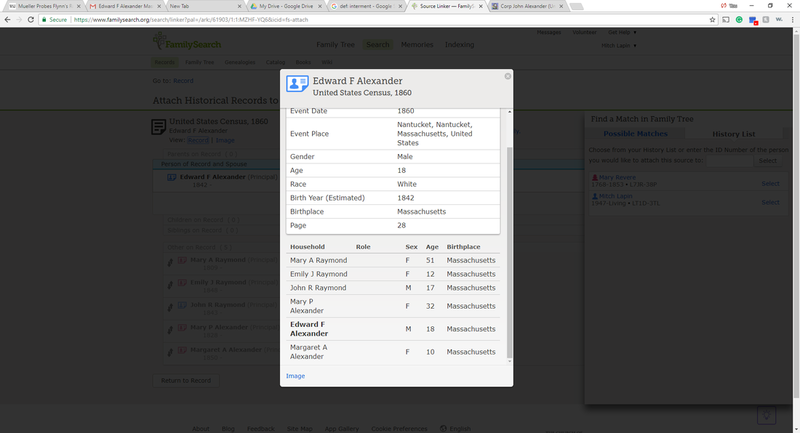 Additionally, a few revelations about Edward F. Alexander and family, made this effort very personal. He was nineteen years of age, a young shipwright[iii] from the wealthy whaling village of Nantucket, a committed abolitionist, but an artisan among Harvard’s intellectuals. In the end, there is no one left of his family to receive the news of Edwards last 119 days. 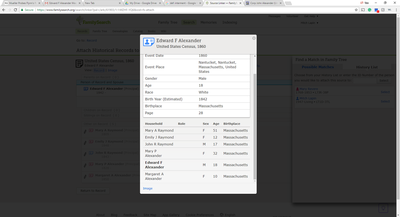 Hence, we adopted the additional task of finding his burial site hoping for a fitting end to Edward F. Alexander’s history. One-hundred and fifty-five years separate us from the unknown. If anyone has a suggestion to search further for his place of interment, please contact us at walkbostonhistory@gmail.com. Our sources are listed below. [iii] Carpenter working mostly on ships in drydock.